How would a pallet telephone bench look at your place? Though it might look little outdated but still you just can not rule out its need even today. My grandma is very much affectionate to this old machine called telephone. Though this has been replaced with latest mobile phones and other gadgets but it still holds it individuality and worth. So we are going to make a pallet telephone bench. Though this might not suit your lavish interior decor but you can place it in your farm house or your country side house. There it would look pretty appropriate according to the place. These raw wooden pallets have literally made us generous. The abundance of the timber or basic material has given us a level playing field to make the both ends meet in the art of recycling. We have all the freedom to make numerous furniture articles that we desire to place in our house holds. 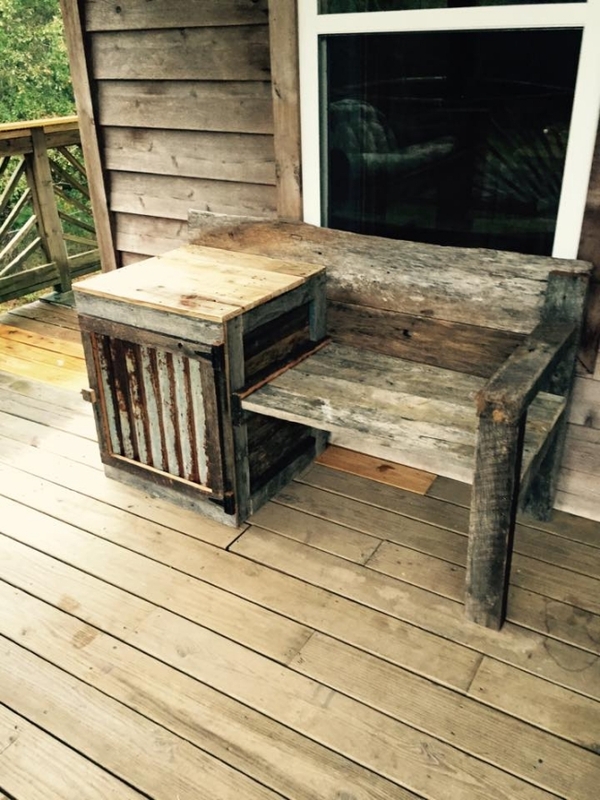 So that’s why we decided to make an odd item that is a rustic raw telephone pallet bench. We used to have specific telephone tables or benches in our houses in early decades not very long ago. 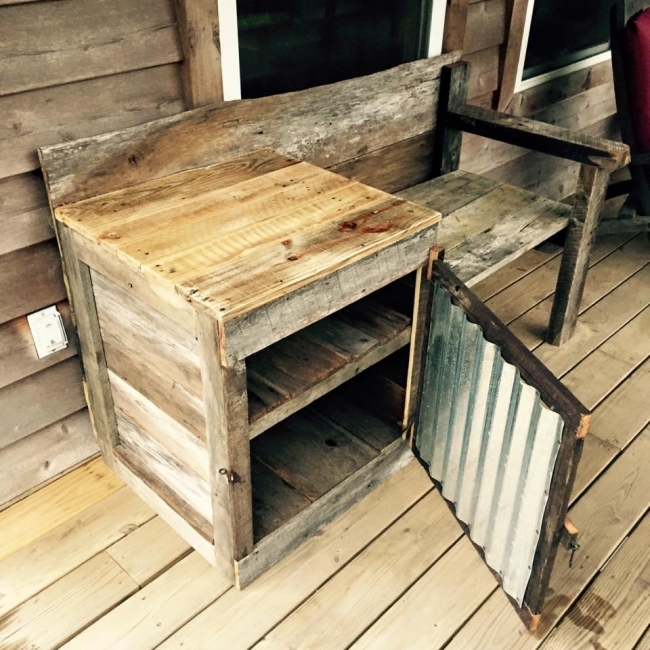 So this pallet telephone bench would also be a revival of tradition as well. What could be expected from a telephone specific pallet bench? It should have a little cabinet to place the telephone set, plus it should have a sitting chair where we can have long chats, plus it should have a tiny table as well where we can write something. So all of these mentioned facilities are available in this telephone bench recycled with the wooden pallet. Left unstained in its pretty rustic and deteriorated condition. Pallets selection could have been much better but this is meant to be a mere demonstration of a typical pallet telephone bench.